Shimmering iridescent rain falls in a curtain behind these stalwart winter trees, branches reaching up to drink in the moisture. Seven crows are winging in, a full murder alighting on the branches to discuss whatever business it is that corvids have on days like this. You can imagine yourself transported to this quiet day, breathing in the ozone scent of petrichor, listening to the gentle patter of rainfall and the soft cawing of crows. A different kind of beautiful day, but perfect for a certain sort of soul. 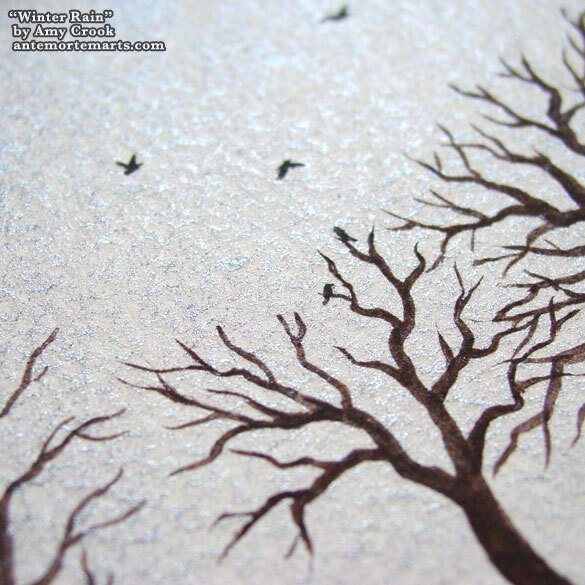 Above, you can see the sunlight glinting off the rain, the twisty trees, and the crows coming in for a landing. 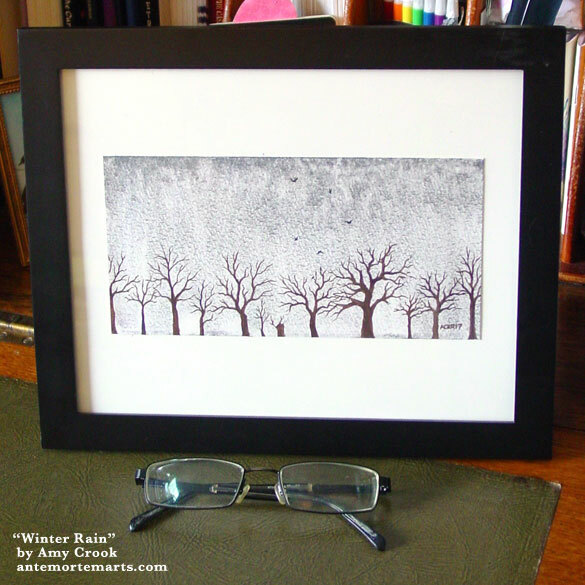 Below, you can see this art framed, a beautiful slice of winter in a small package.